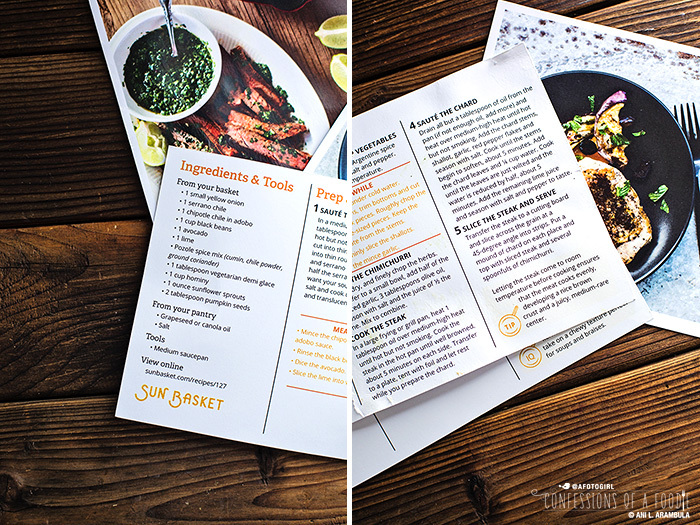 Sun Basket is a brand-new healthy cooking service that delivers fresh, organic ingredients along with 3 easy recipes to your door weekly. 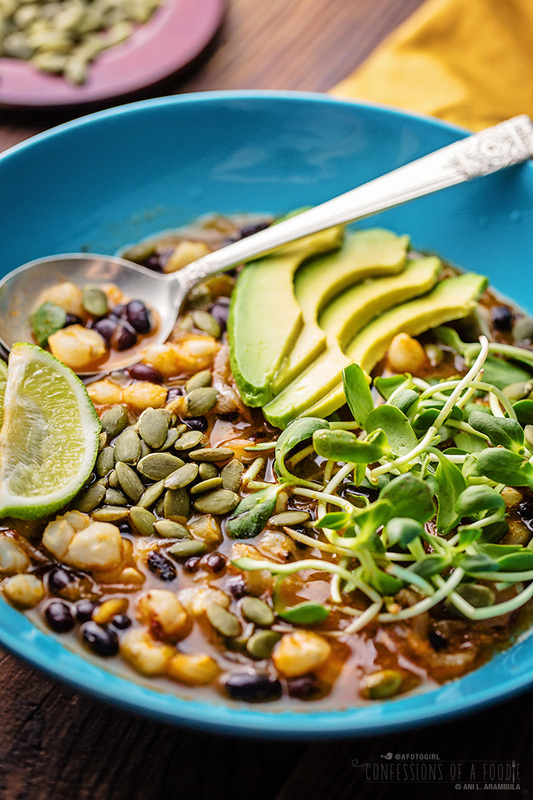 Spicy Vegetarian Pozole featuring black beans, hominy, chipotle, serrano, avocado, sunflower sprouts and pepitas from my Sun Basket box. When I tell people that I'm a food blogger, the first thing they ask me is where's my favorite place to eat out at? No, I have to say, I'm not that kind of food blogger. Or I answer "at home" and I get a weird scrunchy face looking back at me. 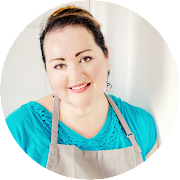 Then I have to explain that my blog is about sharing fresh, mostly healthy, mostly original, delicious recipes for easy home-cooked meals. Confession time guys: As much as I espouse home-cooked clean, delicious whole foods, there are those days mid-week where work has just kicked my behind and the last thing I want to do is grocery shop or go home and root around in the pantry trying to use whatever brain power I have left to think up a healthy – quick! – meal to throw together. Those days, I get so tempted to swing by someplace on the way home and pick up dinner. I shamefully admit that I give in once or twice a month which isn't terrible but it's still once or twice a month more than I prefer. It can be a quick descent once you start slipping to keep yourself from falling back into bad habits. Pre-diabetes diagnosis, my often stress-filled day job beat my behind straight to a drive-thru SEVERAL TIMES A WEEK for breakfast on the way to work or dinner on the way home. It's no wonder it finally took it's toll on my body. I've been living with mostly clean eating habits ranging from moderately paleo to vegetarian and often vegan all the while attempting to eat heart-healthy and nutritious whole foods for just over a year now. Total weight loss to date is hovering between 57 and 60 pounds depending on the day of the week and my A1C remains in the healthy, non-diabetic range fluctuating between 5.5 and 5.7. There is still a long way to go before I reach my goal weight but I'm feeling so much better these days – which is good because work stress really hasn't let up and it would be so easy to not just slip but fall off the wagon altogether if I didn't have these health successes giving me much needed strength. So when Sun Basket reached out to me to say that they would love to have me test out their service and provide feedback, I was totally intrigued by the idea and after perusing their website, gave an enthusiastic, "I'm in! Send me a box." 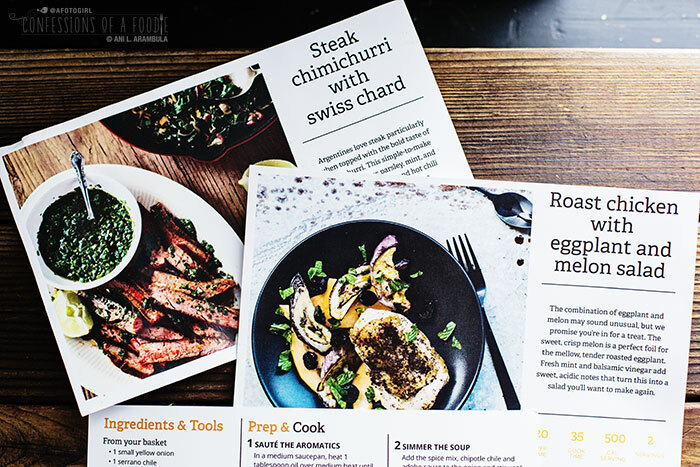 It's a healthy cooking service that incorporates pre-measured organic produce, line-caught seafood, and responsibly raised animals into easy to follow recipes delivered to your door weekly. 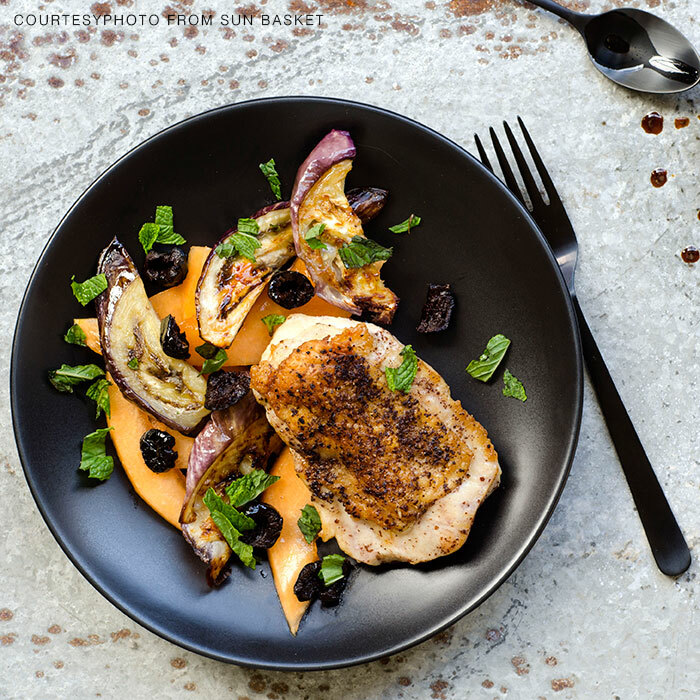 Based in San Francisco, this subscription service sources out ingredients from independent farmers, ranchers and fisherman here on the West Coast. Growing quickly, they now deliver to California, Arizona, Nevada, Utah, Colorado, Oregon, Washington and Idaho. The service is three recipes with pre-measured ingredients delivered weekly and you choose whether you want to serve 2, 4 or 6 people with your plan. 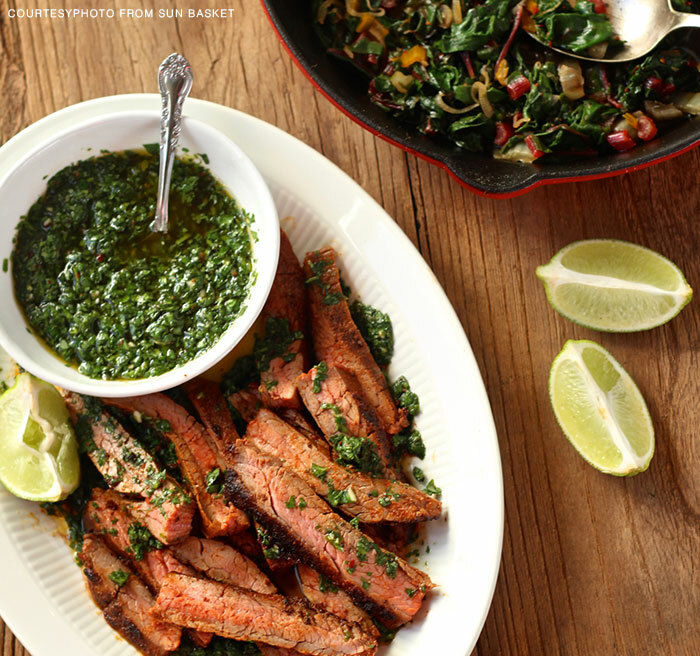 You can choose between chef's choice, paleo-friendly, gluten-free or vegetarian options. Don't they all look delicious?? I especially want that chickpea burger now! The recipes are quick – most can be made start to finish from 30 to 50 minutes – healthy, and my favorite part, there is no thinking involved because all the ingredients, except for the few pantry ingredients like salt, pepper, butter, oil, etc., come pre-measured for each recipe. It took a few bites to get into the eggplant and melon combo but it was nonetheless a good meal. The steak was packed with flavor after rubbing it with the included spice mix and the leftover chimichurri was an excellent topping to my eggs the next day for breakfast. The only meal I cooked on a weekend so I was able to photograph for you was the pozole which was fortuitous because it was by far my favorite meal (and yay! I got permission to share the recipe with you so be sure to scroll all the way to the end of this post for it). You get a photo of what the finished dish will look like on one side. 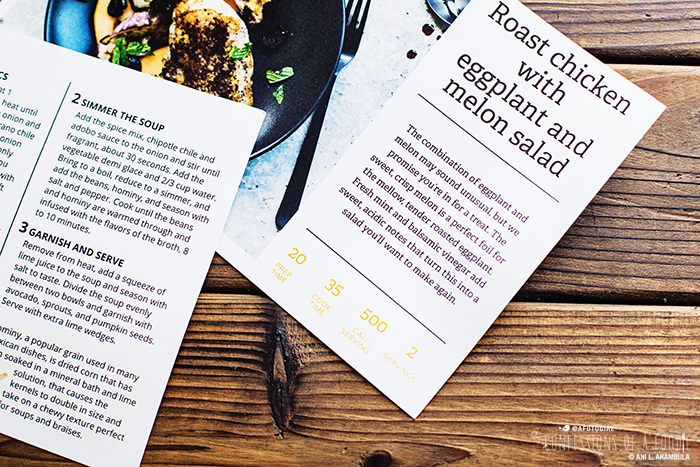 Along with a headnote, the front of the card also tells you prep time, cook time, calories and servings. The back side is divided into three panels with the ingredients panel on left telling you what to use from your basket, from your pantry, any special tools involved and a link to view the recipe online. The other two panels include easy to follow directions along with helpful tips specifically about the recipe or a cooking technique explained. The recipes are written clearly enough for any level of cook to be able to follow along confidently. Here's a group shot of the ingredients designated for the pozole. 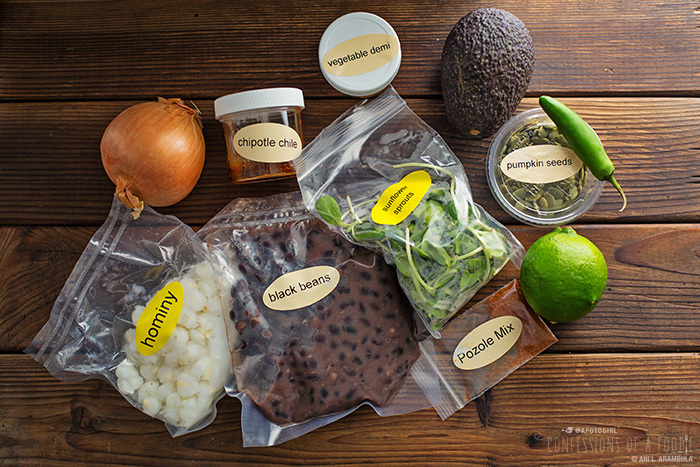 The ingredients are placed in a brown sack labeled with the name of the recipe they are intended for with meat or delicate vegetables packaged separately but still clearly labeled. See those little plastic jars of individual ingredients? They, along with any insulation bags, tissue, and the huge box all these delicious fresh ingredients are delivered in are 100% recyclable. Sun Basket includes a postage paid return label with every shipment so after washing the containers, place the packaging back into the box they came in, affix the label and have the post office pick up the box at your door to return to Sun Basket where they will reuse what they can and recycle what they can't. Love that! Ready to give it a whirl? Sign up below for the giveaway and/or use this link to get $20 off your first order! Cool, right? Ready for this guys? Sun Basket is giving one lucky 'Confessions' reader a week's worth of meals free! Suhweet! The giveaway will be conducted and fulfilled directly by Sun Basket. Contest ends July 13th. Please keep in mind, this service is currently only available to residents of California, Arizona, Nevada, Utah, Colorado, Oregon, Washington and Idaho. You must live in those states in order to participate in this contest. Congratulations to Maureen Walker! 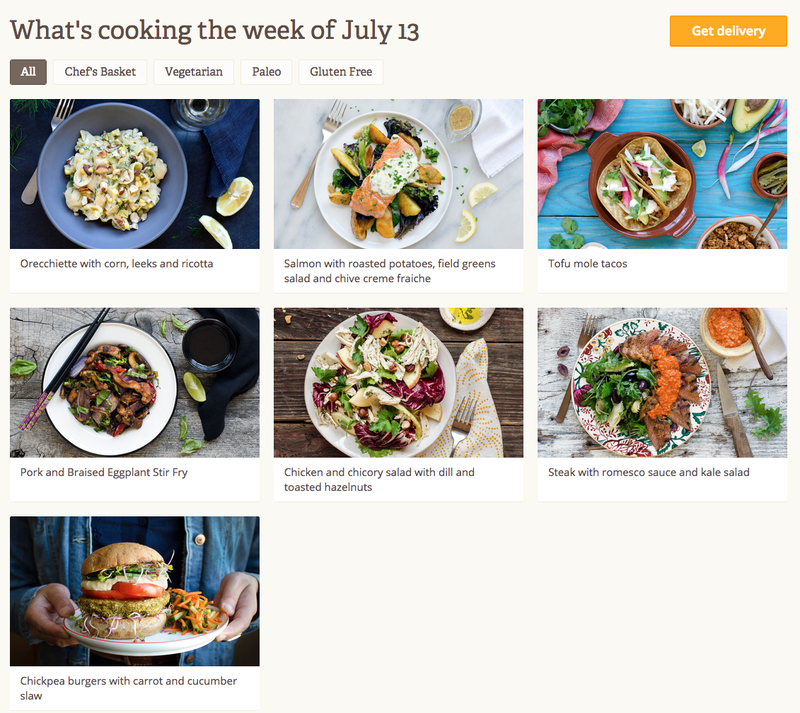 You've won a free week of Organic Meal Delivery from Sun Basket! Woot!! Thank you to everyone who entered! 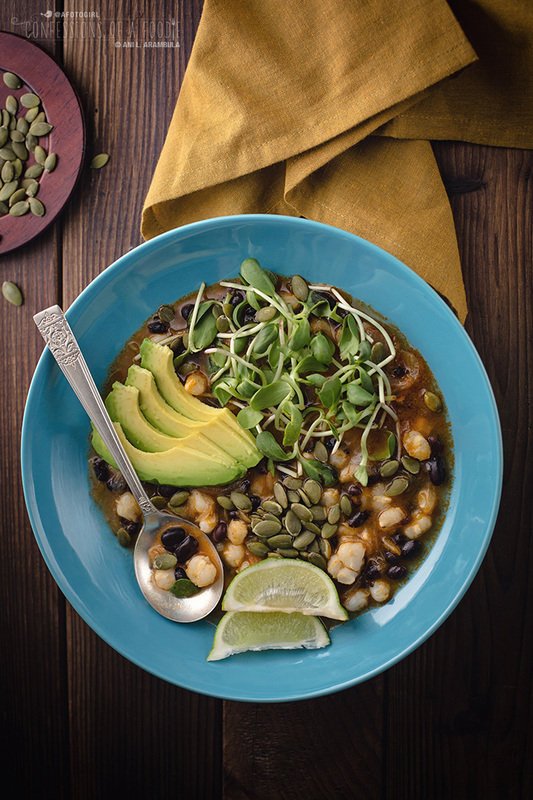 The vegetarian riff on traditional Mexican pozole features nutty hominy, protein-rich black beans, and crunchy pumpkin seeds. Chipotles in adobo bring a bit of smoky heat to the soup that's countered by cooling slices of avocado. Remember that the heat from the serrano chile is concentrated in the seeds. Keep them in if you like your meals extra spicy. Or leave them out for a more mild version of this soup. In a medium saucepan, heat oil over medium heat until hot but not smoking. Peel the onion and cut into thin slices. Cut serrano chile into thin rounds. Add the sliced onion and serrano to the hot pan )use only half the serrano or leave it out if you want your soup less spicy). Season with salt and cook until the onions are soft and translucent, 5 to 7 minutes. Meanwhile, mince the chipotle chile and reserve about 1 teaspoon of the adobo sauce. Rinse the black beans. Dice (or slice) the avocado. Slice the lime into wedges. Add the cumin, chile powder, coriander, chipotle chile and adobo sauce to the onion and stir until fragrant, about 30 seconds. Add 2/3 cup water. Bring to a boil, reduce to a simmer, and add the beans, hominy, and season with salt and pepper. Cook until the beans and hominy are warmed through and infused with the flavors of the broth, 8 to 10 minutes. Remove from heat, add a squeeze of lime juice to the soup and season with salt to taste. Divide the soup evenly between two bowls and garnish with the avocado, sprouts, and pumpkin seeds. Serve with extra lime wedges. Recipe reprinted with permission of Sun Basket. Disclosure: Sun Basket sent me a basket with one week's worth of meals for two in order to review the service without obligation to write about them. My decision to post was based on my positive experience with the service and excitement to share this service with you. Product and service facts were obtained from the Sun Basket website. Opinions expressed about the service and meals are, as always, my own.